This ornamental strawberry is simply irresistible. 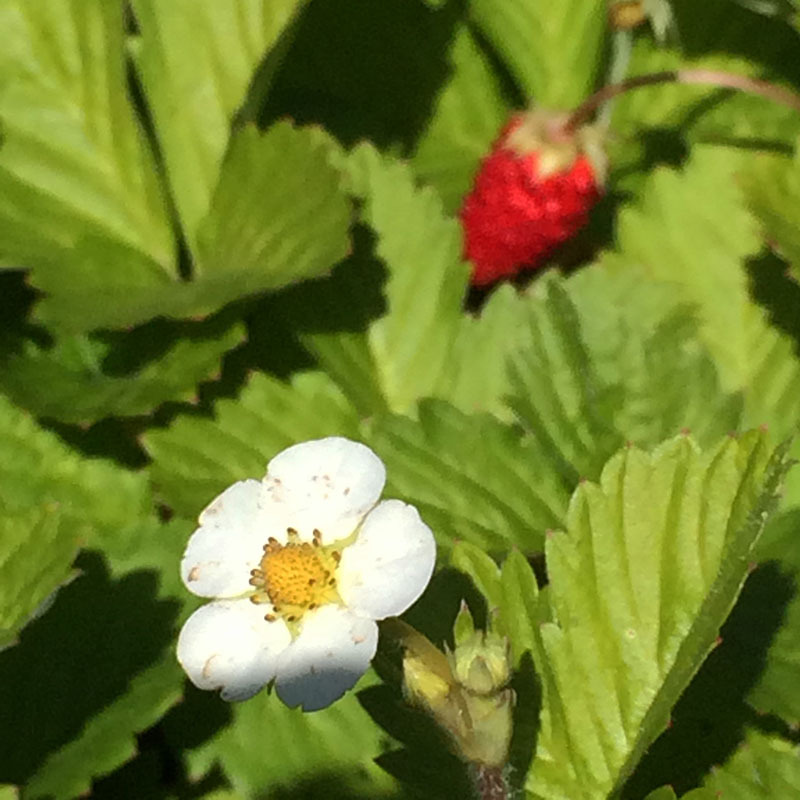 Dainty white flowers and tasty red berries aim to please all summer. Delightful lime-green leaves make a nice accent. Plants are runnerless, so they stay in neat, tidy mounds of dense foliage. Keep it nearby in containers or along borders so that a burst of sweet flavor is always at hand, while providing a colorful accent. Full-part sun. Height 6-12″. Spread 6-12″. Zones 5-10.